Most content marketers I know today are leveraging YouTube as part of their campaigns. The lure of hosting and distributing your videos cheaper than traditional advertising, and the proven effectiveness of content marketing for business makes it irresistible for anyone trying to make an impact online. When done properly, video can be a source of evergreen content that you can leverage on for years to come. With over 300 hours of video being uploaded every single minute, getting your videos ranked can be easier said than done. 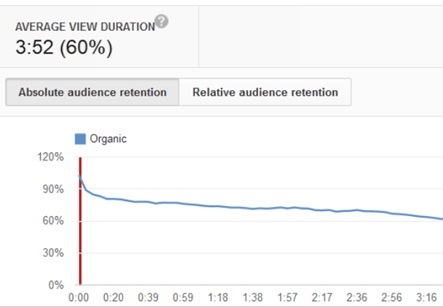 By the end of this blog post, you should be more than capable of understanding how YouTube SEO works, and know the specific steps before you upload your next viral video. You should also be clear how these specific steps can help you grow your presence online, even if you’re just starting out online. 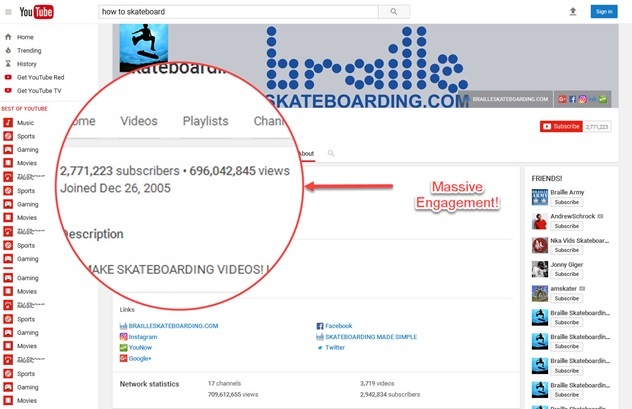 Brian Dean mentioned in his case study that keywords are at the heart of YouTube SEO. Keywords that are well placed also give you results from the search engines, especially with Google. Is there sufficient traffic for the keywords that I’ve identified? Is the keyword space crowded? Is there simply too much information on the topic already? Have I chosen a preferred keyword that Google prefers to display? Once you’ve identified the keywords that you’re going to use in your video on YouTube, it’s time to move on to the next step. Let’s analyse the #1 ranking video in Google using Majestic. As you can see, having links from websites that have skateboarding related terms in the domain name, url and anchor text weighs in quite heavily. You can use Majestic Clique Hunter to analyse up to 10 results. You can see if they have any common back link sources. Then perform outreach to get a link on that domain as well (White Hat SEO). 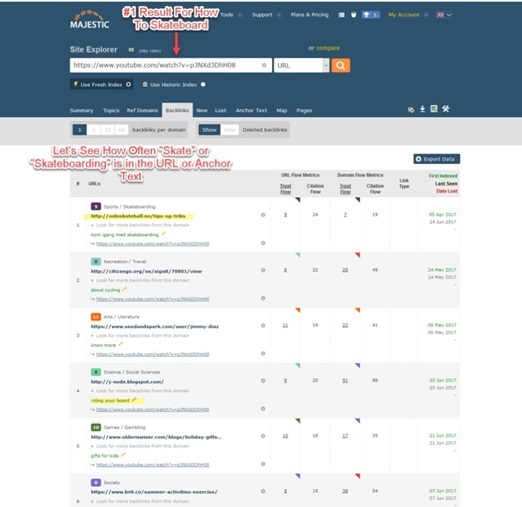 Alternatively you can build you own links through your connections in your industry (guest post or sponsored posts) or get into buying private blog network links etc (grey or black hat seo depending on who you ask). The point of this is to see what is causing these videos to rank in Google and YouTube in addiction to engagement which is comments and subscribers. Videos on YouTube are very different from blog posts – you can’t just use back links to rank your videos as you would for blog posts. YouTube uses what he calls “User Experience Metrics” – different statistics and figures that tell YouTube whether your viewers are finding your videos valuable or not. The first user Experience Metric is Video retention. This refers to the percentage of your video that people tend to watch through. The more your video is watched, the more it signals to YouTube that your video is quality. Comments are an important signal to YouTube that someone has gained value from your video. Be sure to always ask for comments and what your viewers think in every video that you put out. Subscribers are a strong signal to YouTube that your channel is putting out relevant and valuable content. YouTube places more weight on your content once you have a strong following on the platform. These are pretty much self-explanatory, and shouldn’t be hard to understand why they are counted as ranking factors by YouTube. The more shares, thumbs up and favourites get you heavier weightage on YouTube, while the opposite is also true. Brian Dean recommends that you should at least make your video 5 minutes long – or more. Long form texts, long form videos tend to outperform all other videos on YouTube. In other words, if you have a preferred keyword (how to, reviews, etc) and long form video that is more than 1 hour long… do you think the video is valuable? Once you’ve managed to get your video uploaded on YouTube, there are still a few specific technical things to look out for. 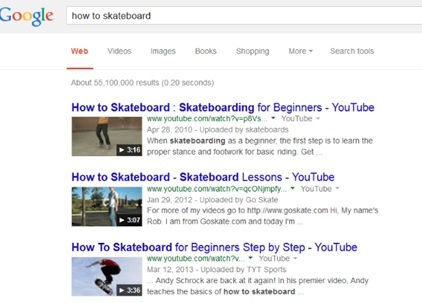 You should also place your keywords at the front of your video title. The description of your video is where you further elaborate on your video’s content, and share with your videos more information that they can act on. But what a lot of people don’t know is that the description actually helps your YouTube SEO too. There’s still quite some work to be done if you want to outrank your competition. For instance, remember that we mentioned user engagement as a key metric that YouTube uses to rank your videos. But without the first initial batch of viewers watching your videos, how do you expect to get any numbers at all in the first place? That being said, it’s important to reach out to people who could potentially benefit from watching your masterpiece, at least in the beginning of your YouTube career. Brian Dean recommends using forums like Quora to find people who are seeking information on the topic that your video answers. Once you’ve identified a potential question, the next step is to embed your videos in your answers. This allows visitors to that forum thread to directly access the video, which is always a bonus in the site experience (because we are all too lazy to even switch websites!) Besides Quora, you can also promote your video on Reddit. Besides submitting the video to the relevant subreddit, you can find questions related to your topic and leave a comment with your video (make sure the comment is impartial – Reddit hates self-promotion). 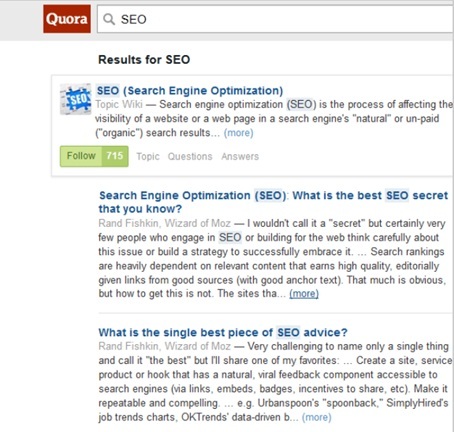 To make the process of finding Quora/Reddit users faster, use JustReachOut.io. 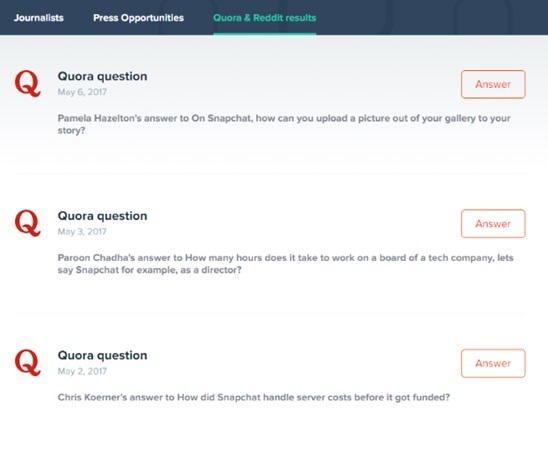 This tool will mine Quora and Reddit results to find open questions with your keywords. Another way that Brian Dean recommends getting the word out about your video content is to include a link to your video in your email signature or anywhere after the email sign off. Again, since email signatures are a do-it-once thing, this means that you can reap the benefits of adding that link to your email over and over again (until you change that link, of course). Of course, this is somewhat like a Catch-22: if you don’t have quality views to your blog yet, you might be relying on your YouTube videos to gain traction to your blog. Nonetheless, embedding your videos on your blog is a great way to add depth of content and interactivity for your audience, which is always a plus point. This is a tactic not many people try, but it can reap a lot of rewards when done right. It’s important to frame your video as adding to their content’s value. Bloggers might not care much about you or your content, but they definitely care about their readers. The question is, how do you reach out and pitch these bloggers and influencers? This blog post on how to pitch press is a great place to start. If you already have a list of targets and want emailing help, check out this list of cold email templates. With everyone’s attention span getting shorter and shorter, it seems that video marketing is here to stay, and might even outperform blog post text in in the future as the top performer in content marketing. That being said, it’s important to use YouTube as part of your digital marketing strategy right now, so that you can build up a sizeable audience to leverage on for business in the near future. The question is: will you apply these tips to the next video you post on YouTube, or will you be just another sheep in the herd? This article was co-authored by Dmitry Dragilev. Dmitry is the Founder of JustReachOut, a tool that helps small business owners do their own PR and influencer marketing. Thank you Dmitry for your valuable insight and research on this article! Special thanks as well goes to Brian Dean of Backlinko as well. That’s a great post for wrapping the YouTube search engine. Most of the people are not aware about this thanks for sharing such types of SEO strategy for a newbie. I’ve created a youtube channel for my website tendtoread.com. Now today I understand where I lacked. Thanks for that VERY helpful explanation and example of how to best work with YouTube. 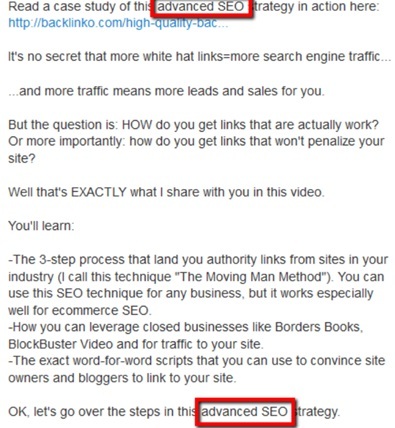 I had already applied some of these tactics but there were a couple of really stupidly simple things I had overlooked like simply adding a you tube video link to your email signature, so obvious, but I guess 90% of users dont do it ! !